When I was a child, every August, on the way back from holidays, we would stop over in a (very) large supermarket and spend a few hours browsing through the many aisles armed with our list. My brother and I used to love it. My parents not so much. We would fill the trolley with HB pencils, compass, notebooks, etc. We would return home, ready to start school again with our brand new array of paper goods. 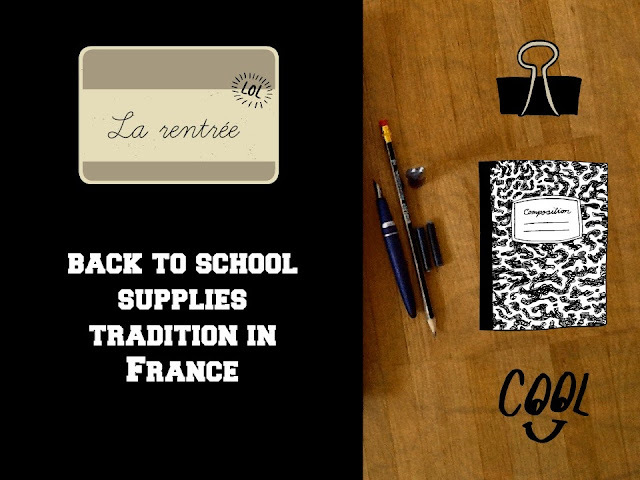 Back to school in France is an expensive tradition. School starts at the beginning of September and part of the yearly rituals for children between 6 and 18 years old and their parents are the 'fournitures scolaires' (aka the school supplies). Etc. I will let you imagine what the arts class supply list looked like!! Of course, you also need sports clothing and a bag to put it all in. Books are usually supplied by schools. Even the French Ministry for Education has recommendations as to what is necessary. This year, it is estimated that parents will spend roughly €136 on a 12-year old's back to school supplies. Multiply this by the number of children you have and the number of years they spend at school and the sum is quite substantial. Supermarkets compete really hard for parents' custom during that time. Entire sections of supermarkets are turned into back to school supply heavens (or hells). And the choice of HB pencils and blue cartridges are dazzling! I have never seen anything like it outside of France. There are specialist art shops that stock large arrays of similar products. But we are talking here about mainstream every day shopping aisles and sections. Just have a look at the amount of different types of large line patterned sheets you can buy at this online store. It can be quite overwhelming. As little kids, we used to treasure our first few items to go to school. For me, this was part of the tradition of going back to school. I still love looking at the shelves of the French supermarkets filled with exercise books and pens. I am not sure, I would enjoy filling the trolley with them as a mum though. N.B. Writing this has been tricky. I had no idea about the names of a lot of these supplies in English! So I apologise if these sound odd to you. In the UK, exercise books were always provided by the school. It was only in 6th form that we started having to bring our own binders and paper. Art supplies were also provided by the school. We did have to buy school uniforms and P.E kits though, which probably balances things out. Great! traduire une liste de fournitures scolaires, je dis chapeau! J'adore le site avec les listes! En Espagne la guerre des magasins c'est pour les "libros de texto", (les livres scolaires tout simplement) il faut les commander dès le mois de juin, ils sont tous emballés et chacun va chercher son sac de livres dans les magasins ou même supermarchés qui se font concurrence. 75 euros pour ma fille cette année en petite section , (oui oui petite section, 3 livres 75€...!!! ), je ne veux même pas penser aux prochaines années!). €75 en petite section?! J'imagine ce que ça deviendra en 3e! Wow that is quite a list and a price tag! 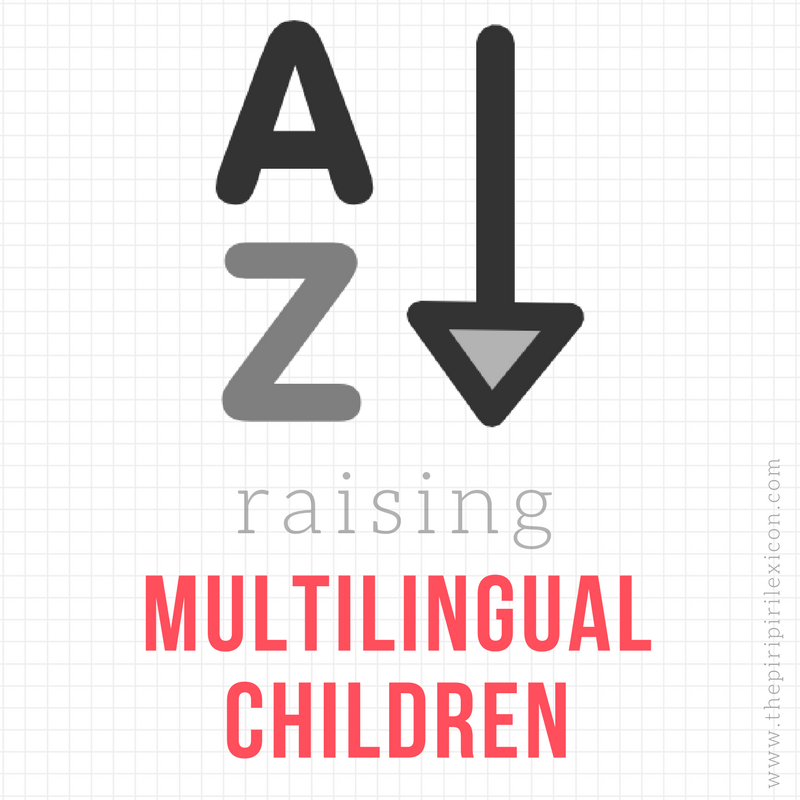 It is so interesting to hear how the back to school list varies depending on where you are. I remember this! My dad's employer actually subsidized school supplies when we lived in France, because it was considered an extraordinary cost of living expense. Good thing, too - my parents had six children in school to buy supplies for! I can't imagine what the price would be for 6 children! Yes, it exists outside of France! My kids go to a French school in San Diego. Same story, same basic stuff, same price tag! I laughed when I read this post, but maybe I should have cried. Annabelle, please link this up to #AllAboutFrance as I'm loving all the rentrée posts....it's open now. Thanks for linking, especially as I know you're on your mega road trip! For the first year since my son started school, he finally has NO LIST! He's in 1er!!! Collège was the most specific and expensive, it's a crazy expense and I make sure my kids use the same folders, pencil cases etc every year till they are really worn out even if they make a fuss about wanting new stuff. I too wrote about La Rentrée on my #AllABoutFrance post ... mind you I love it now that the school supplies aisles are now the aisles promoting Le Foires des vins ! !